More and more people are asking me about bread-baking these days. An amazing piece of bread can eclipse the rest of a diner’s meal, but too few restaurants are serving truly memorable bread. If you’re willing to put in a little effort at home, you can satisfy that straight-from-the-oven craving with this simple focaccia recipe. First, mix honey and water and stir to ensure it is well dissolved. Add yeast and allow to fully activate. If you are using fresh yeast, you can simply stir it in; allow dried yeast about 5 minutes to fully activate then stir to ensure it is well dissolved. Separately, combine the flour, salt, oil, and any additional dried herbs and spices you want. Using a stand mixer with a hook attachment, stream in the liquid yeasted mixture and mix at medium low speed for about two minutes. Scrape the sides of the bowl and ensure that there are no pockets of dried ingredients. When the dried ingredients are fully incorporated, mix at medium speed until you have a shiny, smooth ball of dough holding to your hook; typically 2 to 5 minutes. Grease a second bowl with oil and place the dough ball inside. Cover and let rise for a hour. Knock the dough down by rapping the bowl on the counter, then let rise once more. If you are making this in advance, simply place the dough in the refrigerator overnight and allow it to fully develop its flavor. After it's risen again, pour oil into a baking tray or pan and place the dough into the baking vessel. Stretch it to fit neatly into the pan. At some point it simply won't stretch anymore and will start rebounding, so let it rest another 20 minutes and it will stretch once more. Repeat until you have the desired fill level of your vessel. Allow to fully double in size, about 45 minutes, then season. 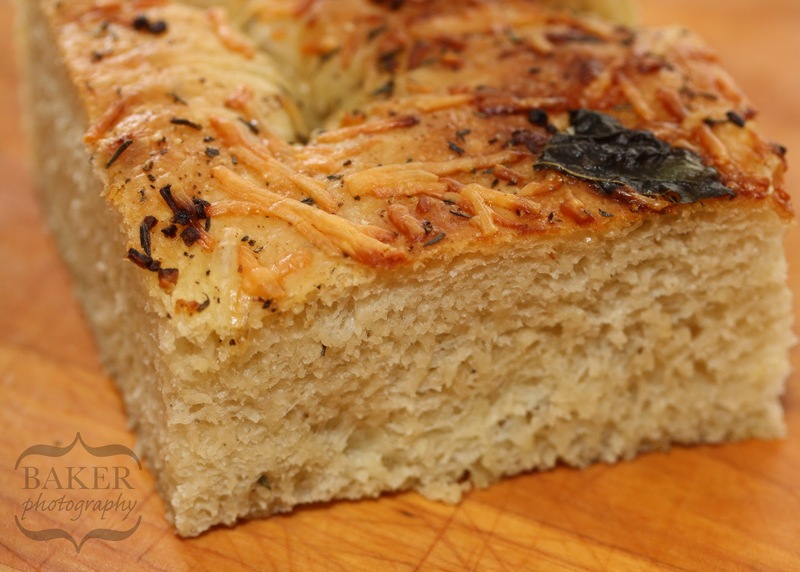 Add dry ingredients such as fresh herbs, spices, garlic, capers, cheese, chili flakes, olives, or onions to the top of your focaccia, being careful not to punch the dough down. Repeat until the focaccia has an even amount of peaks and valleys. Finally, bake the focaccia at 400F until golden brown and firm to the touch. Remove from the oven and all to cool in the pan before you portion and serve.